On the weekends, when all you want to do is veg out on the couch, isn’t it nice to know that you can just order food and not have to get up from your Netflix series? Here are some suggestions for your weekend binges. 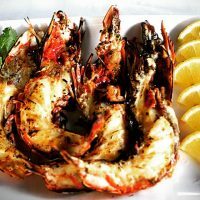 Bayti’s contemporary menu offers hot and fresh suggestions to entice your palate. 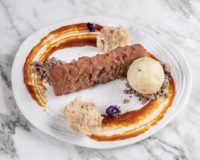 Think Snjoke (BD2.5) which is pan-fried Arabic sausages with a subtle and sweet flavor; or their Pistachio Cured Salmon (BD7.900), fillet of salmon paired with a walnut and pistachio crust. See what we mean by creative? There’s also apple & celery coleslaw which is just one of the many inventive recipes that they have. Worth a try in the restaurant and for home delivery. Burgers represent the ultimate in movie/ TV watching food. 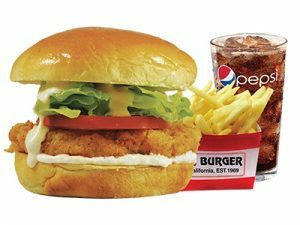 Quick and easy with a side of fries, and a soda, they’re the ultimate in fast food indulgence. Case in point, EZ Burger’s repertoire of sandwiches (must trys are the Cali Burger and the Flaming BBQ Beef Bacon Burger), sides, and salads. Pure comfort in a bun. 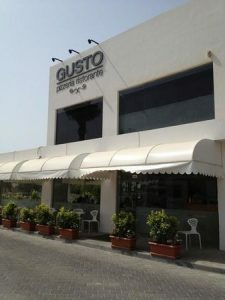 Gusto will satisfy your pizza cravings but it will still be healthy. Also try their inventive bites Melanzane Ala Parmigiana (fried eggplants with tomato, mozzarella and parmesan) or Suppli (fried rice balls with tomato sauce, minced beef & mozzarella). Go for the Gusto Salad which has goat cheese, artichokes, roasted peppers, tomatoes & mixed leaves. Take out the fine tablecloth and linen napkins and have a fine-dining feast at home. To round out the menu, there will always be Asian food of course. The classic dishes like Chicken Wonton, Tempura Shrimp, Seafood beancurd soup, and spring rolls are a staple in any Asian restaurant. 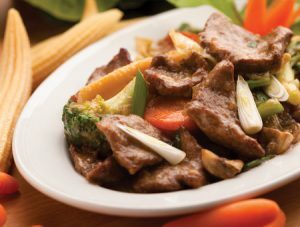 Magic Wok also offers specialties like Beef in Cumin (spicy Hunan beef with cumin and dried red chilies), and Vegetables with Double Mushroom Black Bean Sauce. If you want to give your tastebuds a treat, give this place a call. Deli style offerings and great coffee are what entice people to The Great American Bagel. 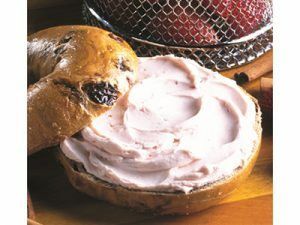 You can choose your type of bagel from the simple, plain bagel to cheddar herb, four grain, cinnamon sugar, or if you don’t want to make a choice just pick the everything bagel. Try the Asiago omelet which is egg patty, smoked turkey, roasted red pepper, and parmesan cheese on a toasted bagel. They also make nice paninis and wraps as well as a selection of coffee treats. 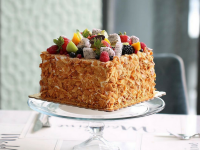 Upper Crust caters to a wealth of palates. 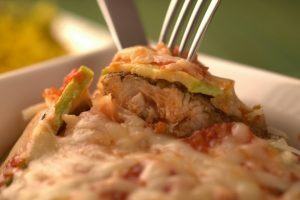 There’s vegetable oatmeal soup, for those on a diet; Fried Chicken Caesar Salad, for those who are not; Chicken Parmigiana, for lovers of Italian food; Table Burger (which is Spicy Mexican salsa on top of a beef burger) for Mexican food lovers as well as Regular Beef Burgers for those who just want to get their burger fix. This place will please a load of people so it’s good if you’re ordering for a party. Another great option for a burger party (or patty), expect juicy burgers, hand cut fries and great value for your money. 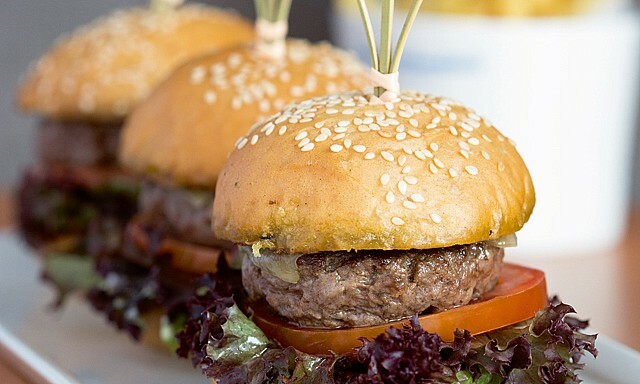 Their Red Hot Slider burgers is uniquely crafted with red buns, cheese, and jalapenos on the burger (only BD1.800). 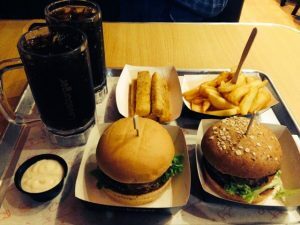 The classic cheeseburger meal which is 100% Angus beef, American cheddar, lettuce, tomatoes, and a pickle with fries and drinks is only BD2.900. Hard to beat! 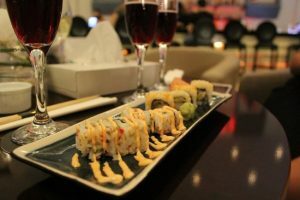 Sushi lovers have a lot to celebrate with the opening of Ora, the hip and trendy Japanese restaurant at Hotel Diva. They also deliver which is great if you want to have a Japanese dinner at home. Expect classic Japanese dishes like rainbow maki, Sushi Nigiri, Fish Roe, Sushi Sashimi, as well as their special bentos. Refined and modern, this is a great option for Japanese food. 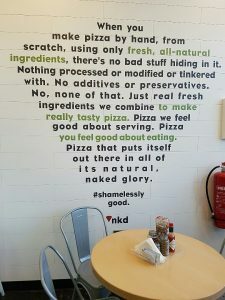 Housed in El Mercado Bahrain, NKD Pizza aims to provide fresh pizza using wholesome ingredients. 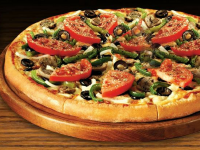 Thus the titles like Superbiotic Pizza (artichokes, spinach, mushroom, and cilantro); Macrobiotic Pizza (white sauce, cilantro, parsley, spring onion); Greenhouse Pizza (onion, cherry tomatoes, black olives, mushrooms), etc. You even have the option to build your own pizza. The smokehouse pizza comes highly recommended. A hot dog with chili on top is not only great party food, but great all-around food. 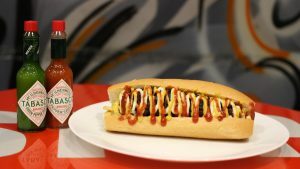 Wazzup Dog keeps things simple with only four dog flavors to choose from: the Burger Dog, the Chili Burger Dog, The Wazzup, and The Southern (with Chili Sauce). Not a lot of options means they put great stock in their food, and friends their dogs are quiet good. What is your favorite takeaway snack?